Deepdale Cafe’s famous fish and chips, Moules marinere (when in season) and changing specials. Includes a hot drink or glass of wine. Naturally the usual fare of breakfasts, lunches, sandwiches, afternoon teas and cakes will be available throughout Fishy Fridays. Why not combine with some shopping in our lovely next door neighbour shops here at Dalegate Market - Keshco’s Supermarket & Fuel Station - Fat Face Clothing & Accessories - Gone Crabbing Seaside Inspired Gifts & Clothing - Relish Jewellery & Accessories Boutique - One Stop Nature Shop - The Hare & The Hen Gallery & Craft Shop. 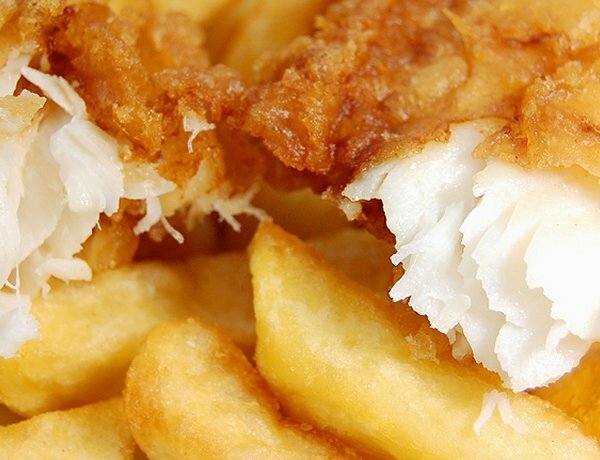 Fishy Friday at Dalegate Market - Deepdale Cafe’s famous fish and chips, Moules marinere (when in season) and changing specials. Includes a hot drink or glass of wine.